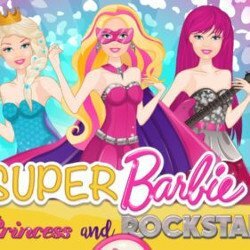 Would you like to see Super Barbie debuting and performing in a ballet show? She is going to perform in the amazing Swan Lake ballet and she is going to interpret both swan roles, the black and the white swan. 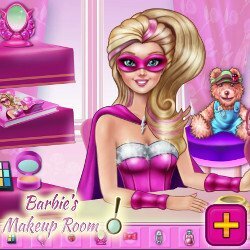 In this lovely game you will be her fashion adviser and costume creator because Barbie needs to look amazing on the stage. As she is going to play both roles, you will have to create her white swan outfit first. Choose the perfect white dress and use feather decorations for her hair. For the second act, you will have to create Barbie’s black swan outfit as well. Find an amazing glitzy black dress, matching shoes and accessories. 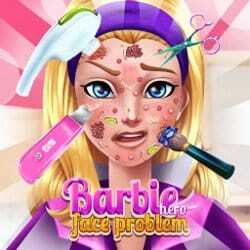 You also need to change Barbie’s hair color and hairstyle. Super Barbie will also need a colorful outfit at the end of the show. 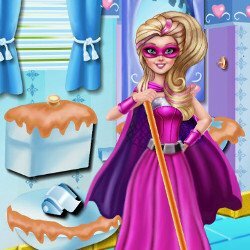 Super Barbie Ballet Show is an mobile game and it’s playable in browsers such as Safari and Chrome. You can play the game on smartphone and tablet (iPhone, iPad, Samsung, Android devices and Windows Phone).